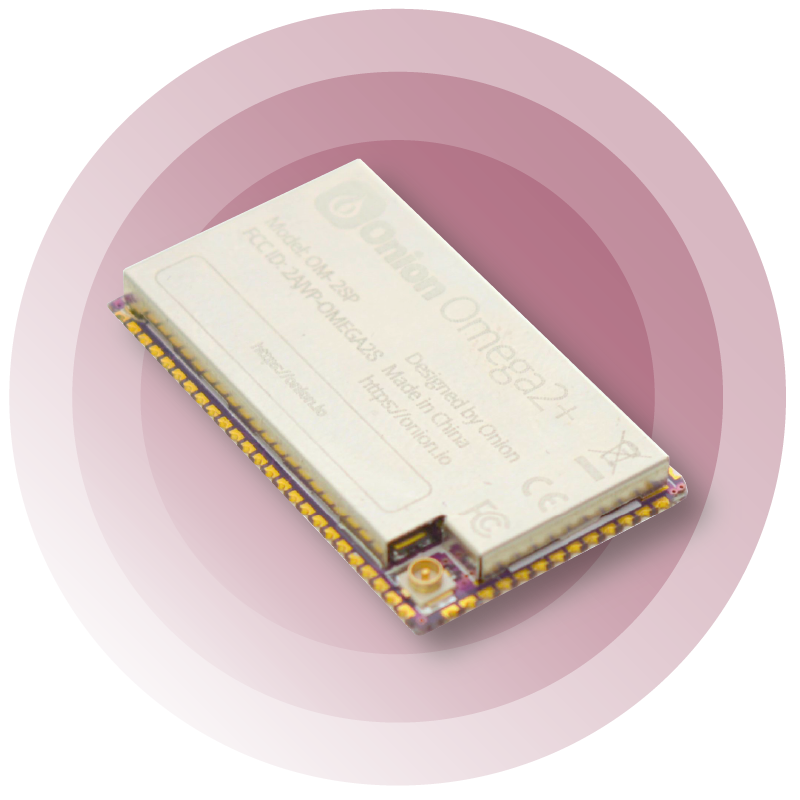 The Omega2S is a smaller, surface-mount packaged version of the through-hole Omega2, designed for IoT applications that require drop-in connectivity and computing. The 34mm x 20mm x 2.8mm package is based on the MT7688 SoC and features a CPU, memory, flash storage, and a WiFi radio. It supports a wide variety of I/O protocols, with 42-pins available to the developer. The module is self-contained and only requires a power supply and an external WiFi antenna to operate. The pre-loaded Linux Operating System reduces development time by allowing the use of existing software package and high-level programming languages. This module is precertified for FCC and CE, further reducing time to market in the fast-moving world of IoT. Take a look at the Using the GPIOs article to learn more about the Omega’s GPIOs, multiplexing GPIO functionality, and the behaviour and requirements of the Omega’s special GPIOs. 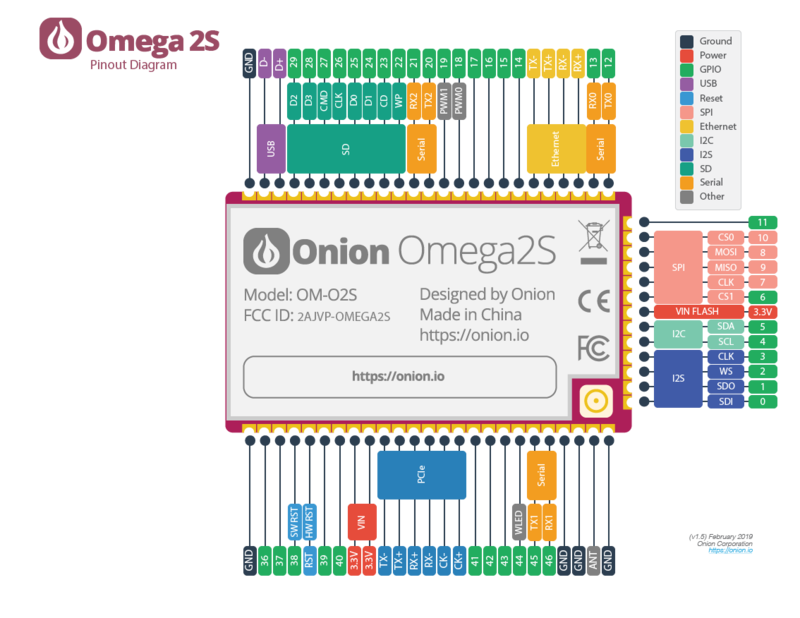 The Onion Omega2S is the surface-mount packaged version of the Omega2, designed specifically for high volume production due to its low profile, extended feature-set, and production friendly design. 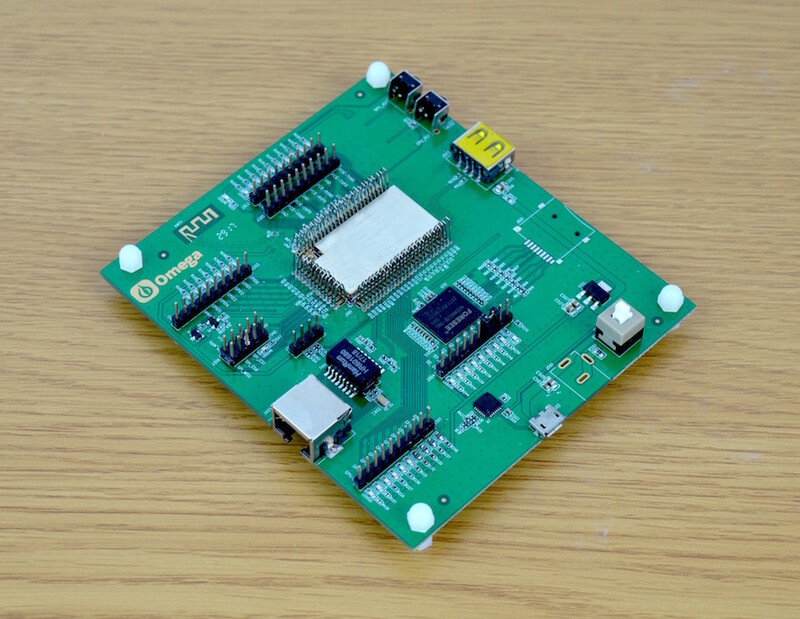 The Omega2S Development Kit includes everything you need to fully evaluate the functionality of the Omega2S Module and begin the development of your IoT product.